Ms. Warner is retired and most recently was the Executive Vice President, Decorative Surfaces and Finishing Systems of Illinois Tool Works Inc. (a manufacturer of specialized industrial equipment, consumables, and related service businesses), from 2005–2013. Prior to that role, Ms. Warner served as the President of Plexus Systems LLC, from 2004–2005. (Plexus Systems LLC is not affiliated with Plexus Corporation where another director, Dean A. Foate, is Chairman of the Board.) Ms. Warner also served in various capacities at Electronic Data Systems Corporation (an informational technology equipment and services company), from 2000–2004, including as President, Global Manufacturing Industry Group. Prior to that role, Ms. Warner served as the Executive Vice President of Textron Automotive (a first-tier supplier for automotive markets), from 1994–1999, and before that, in multiple executive positions in manufacturing, engineering, and human resources at General Motors Corporation. Ms. Warner has both an M.A. and a B.A. from Michigan State University, and she has an M.B.A. from Stanford University. 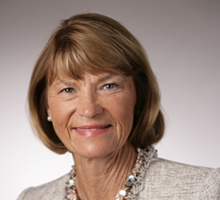 Ms. Warner is a member of the NACD Nominating and Governance Committee Chair Advisory Council and serves as a director of Brunswick Corporation and Tenneco Inc., and she previously served as a director of MeadWestvaco Corporation. Ms. Warner has been a director of Regal since 2013.